The morning of Wednesday 16th August saw semi-finals action take place in Panagyrurishte as the Under 21 Men's Singles and Under 21 Women's Singles tournaments drew one step closer to a conclusion at the Seamaster 2017 ITTF World Tour Asarel Bulgaria Open. Mizuki Oikawa will represent Japan in the Under 21 Men’s Singles final, following a bright display against fellow compatriot Yuma Tsuboi in the last four. While Yuma Tsuboi was able to grab a game win to his name, it was Mizuki Oikawa who demonstrated the more confidence in his play and eventually came through the tie with a three games to one victory (11-2, 9-11, 11-5, 11-2). The player standing between Mizuki Oikawa and the title is Tomas Polansky, after the Czech competitor prevailed in the top half of the semi-finals draw. Tomas Polansky faced Manav Vikash Thakkar in the penultimate round of the competition, and while the Indian player gave a good account of himself he couldn’t stop his Czech opponent from claiming the win (11-8, 11-6, 5-11, 11-8). Over in the Under 21 Women’s Singles event there is guaranteed success for Japan, with Mizuki Morizono and Miyu Maeda both progressing from their respective semi-finals encounters ultimately sealing the title win for their country. Kyoka Kato provided the opposition for Mizuki Morizono in the top half of the draw, and despite the first and third games producing close scorelines the overall result favoured the latter of the two players (9-11, 4-11, 8-11). The other semi-finals fixture was also decided in straight games as Miyu Maeda saw off Puerto Rican contestant Adriana Diaz (11-2, 11-6, 11-2) with a fine performance, setting up an all-Japanese final. 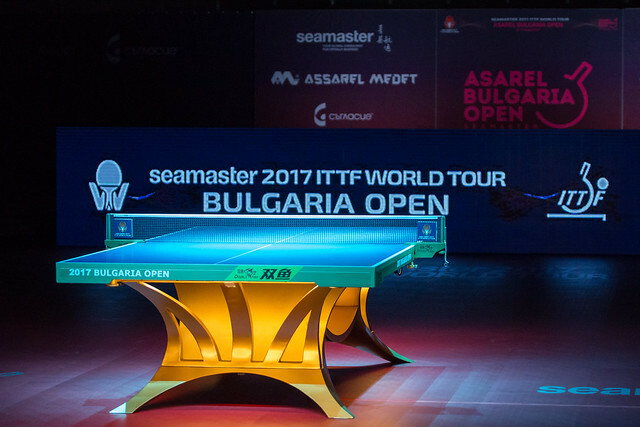 Both the Under 21 Men’s Singles and the Under 21 Women’s Singles tournaments at the Seamaster 2017 ITTF World Tour Asarel Bulgaria Open will conclude on Wednesday 16th August.